Australian author John Stapleton suggests that widespread police corruption, violence and crime are all blighting a country once commonly referred to as the ‘Land of Smiles’. In his book Thailand: Deadly Destination, Mr Stapleton attempts to expose the reputation of Thailand as a welcoming country, claiming a boom in tourism since the 1960s has created a hatred of foreigners and a ‘murderous indifference’ to the millions of tourists who flock to the country’s white-sand beaches, picturesque countryside and thriving nightlife each year. Australian author and journalist John Stapleton has written a new book branding Thailand one of the world’s most dangerous destinatons. new book has branded Thailand one of the world’s most dangerous tourist destinations. He also says that the death rate among tourists, which he claims often goes unrecorded, is ‘the worst scandal in the annals of modern tourism’. 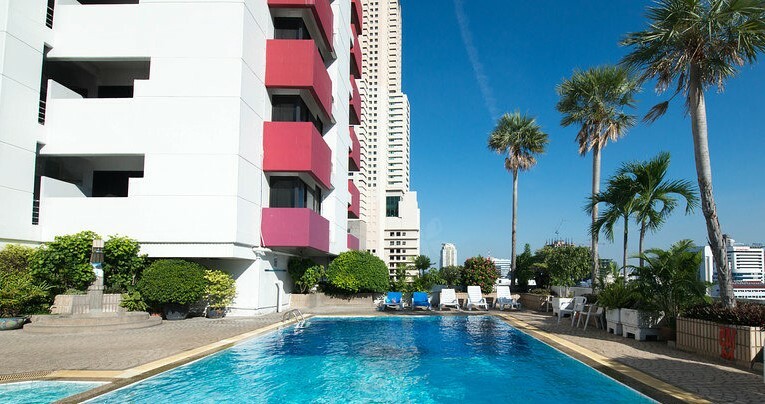 ‘Thailand’s carefully manufactured reputation for hospitality, as a land of palm trees and sun-drenched beaches, happy-hour bars, world class hotels and welcoming people, as paradise on Earth, is very different to the reality many tourists encounter,’ Mr Stapleton says in the book, which is being published next week. ‘The rapid growth in Thai tourism has been a triumph of advertising and image creation; building the perception, firmly entrenched in the West, that Thais embrace strangers. ‘In reality, the relations between ethnic Thais and foreigners are often difficult; and there has been growing friction and disengagement, a drift from curiosity to contempt, as visitor numbers have increased. Figures released by the British government showed that between 2011 and 2012 there were 296 British deaths in Thailand. Mr Stapleton said: ‘The attitude of murderous indifference to the welfare of strangers is ingrained enough in the Thai psyche for it to justify formal government warnings to the many hundreds of thousands of tourists venturing into the bars and clubs of Thailand on a nightly basis. ‘It is standard operating procedure in Thailand for the bars and clubs to pay bribes to the local police and municipal authorities in order to be able to open their doors. ‘If a bar, club or parlour does not make this payment in all likelihood they will be closed down. Thailand’s much-prized tourist industry, which accounts for 10 per cent of the country’s GDP, is in decay following more than 12 months of political unrest. 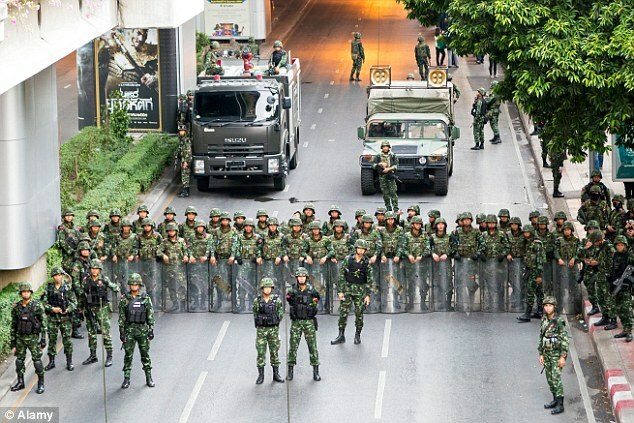 As well as the murder of two British backpackers in mid-September, there was a bloody military coup earlier this year. In the first nine months of 2014, there were more than two million fewer foreign tourists who visited Thailand compared with the same period a year previously. From an initial forecast at the end of last year of 30.27 million foreign visitor arrivals, Thailand’s Ministry of Tourism and Sports is now forecasting 25.5 million foreign visitors in 2015. Talking about the country’s widespread crime, Mr Stapleton adds: ‘Visitors to Thailand are not warned by travel agents, airlines or their own governments that their passports are highly prized in Thailand. ‘Depending on the nationality, a passport can fetch thousands of dollars on the black market, several months’ pay for many Thais. ‘There are gangs stealing passports to order. European, American, Australian and Canadian passports are particularly prized. The book’s author claims that those who know Thailand well were unsurprised by the murder of British tourists Hannah Witheridge, 23, and 24-year-old David Miller, who were killed in an attack on the island of Koh Taoin September. The UK government has issued official warnings about violence to the 860,000 British tourists who travel to Thailand each year. Asked why he decided to write the book, Stapleton told the MailOnline: ‘At the beginning of 2010, uncertain of what to do next after leaving full-time journalism, I decided to head to Thailand, which I remembered fondly from previous visits. ‘It only came to me slowly, after having my drinks repeatedly spiked, being robbed, bashed and having my passport stolen, that Thailand was not quite The Land of Smiles that I had once thought it to be. ‘I badly wanted to live in Thailand, and spent more than three years in and around Bangkok. Unlike many expatriates and tourists, I spent a lot of time with the Thais themselves. He added: ‘Unfortunately, with millions of tourists besieging the country, the locals’ response to foreigners has gone from curiosity to contempt. ‘Overwhelmed with millions of tourists, many of whom appear to save their worst behaviour for the streets and bars of Thailand, cries of “Mai Chop Farang”, I don’t like foreigners, and “Thailand is for Thais” can be heard from one end of the country to the other. A spokesman for the Tourism Authority of Thailand (TAT) dismissed Mr Stapleton’s claims of the dangers facing tourists, calling them ‘an exaggeration’. ‘TAT are of course disappointed to hear of this but as an organisation has much confidence in Thailand as a tourist destination as do the 860,000, and growing, number of British travellers who visit Thailand annually. They said: ‘The vast majority of visitors enjoy a safe and trouble free time and 65 percent repeat tourist arrivals is testament to how much they love Thailand and wish to return year on year. ‘This number wouldn’t be so high if tourists didn’t feel safe and enjoy visiting our country. ‘Accidents, robberies and deaths are not exclusive to Thailand, sadly we read tragic news stories about tourists travelling all over the world. 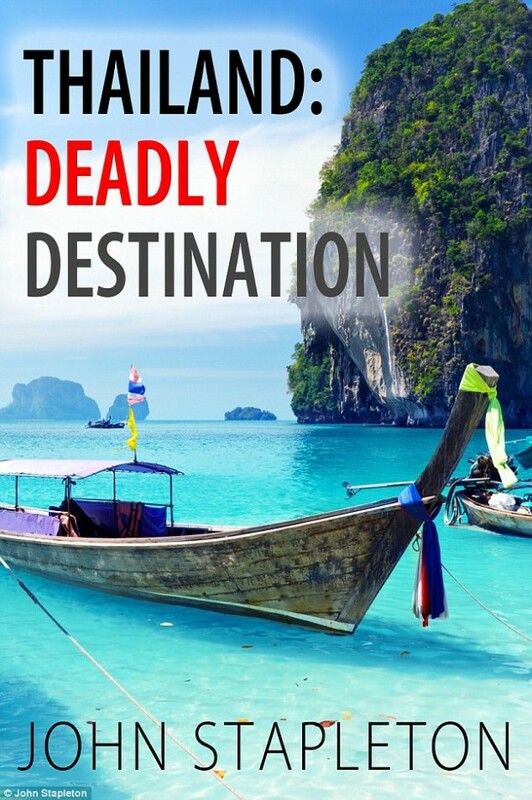 ‘The author, John Stapleton’s, book title is somewhat an exaggeration and we are certain that those who come across this book will conclude themselves that Thailand is by no means the most dangerous country in the world to visit. ‘Tourist safety remains of upmost importance and priority to TAT. Thailand accepts that some of the country’s safety and security measures need to be improved and just this month the Prime Minister of Thailand, Prayut Chan-o-cha and the Minister of Tourism & Sport, Mrs Kobkarn Wattanavrangkul announced several new measures to upgrade and improve safety standards within the travel and tourism industry.